Problem skin. 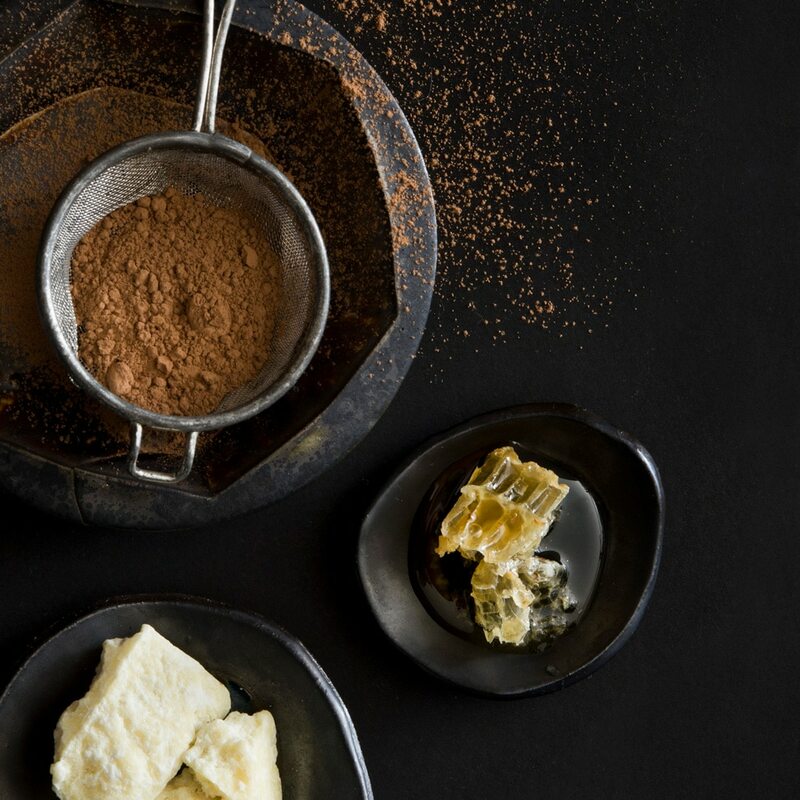 We’ve formulated a lot of goodies over the years: butters, scrubs, oils, and more. One of our favorite creations is our line of Dry Masks. Made with a combination of clays and botanicals like fruit extracts and oat powder. These custom-blended masks are packed with nutrients that refresh and renew problem skin. Have you ever used a body mask? Our Dry Masks are suitable for use all over your body, not just your face! They’re perfect for using on your neck, chest, shoulders, and even your hands and feet, so you can combat dull skin from head to toe. Being that these masks are a powder formulation, they have a very long shelf life. They are also highly customizable to your skin type! You can blend your favorite dry mask with whatever type of mixer suits your skin. 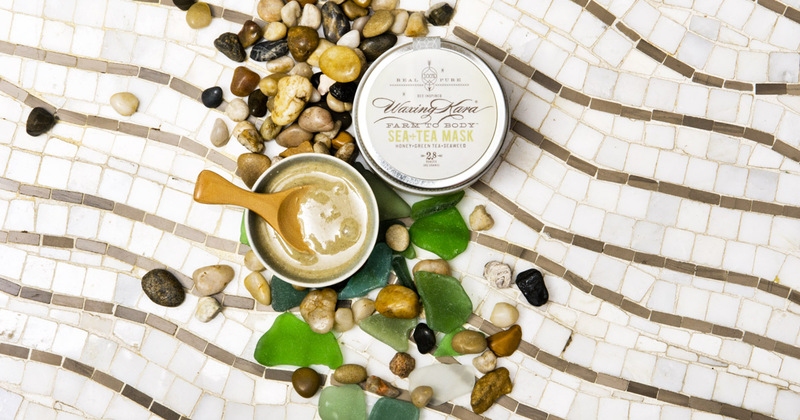 We like to blend together our masks with pure Eastern Shore Honey with a little warm green tea to form a rich, creamy mask. The idea is, you choose a mixer to suit your particular complexion. Try plain yogurt, almond milk, or even a few drops of our favorite Rose+Lavender Facial Oil to create your perfect treatment. No matter your skin type, we have a perfect mask for you! 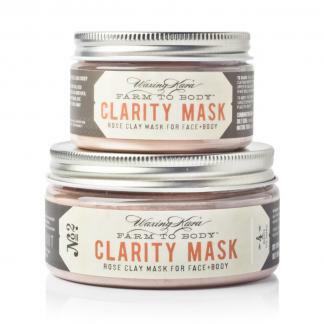 Each Dry Mask contains a blend of clays and botanicals that are fine for almost every complexion. And while anyone could use any mask they desire, finding one that treats your exact complexion woes really steps up your skincare game. Everyone’s skin has occasional breakouts and spots-but some of us are lucky (hah!) enough to have skin that frequently gifts us with blemishes. Sometimes it seems that, no matter how diligent you are about washing your face and eating well, your face fights back against you! 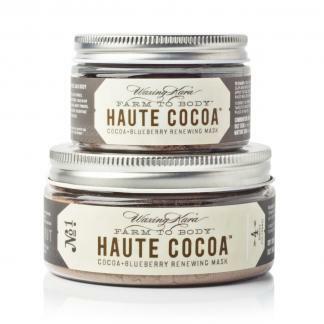 Haute Cocoa is a mask made with real cocoa powder and blueberry extracts that gently exfoliate the face. These botanical ingredients are also rich in vitamins that help to combat spots and blemishes. After masking, use a few drops of Facial Oil on damp skin to soothe and moisturize your complexion. 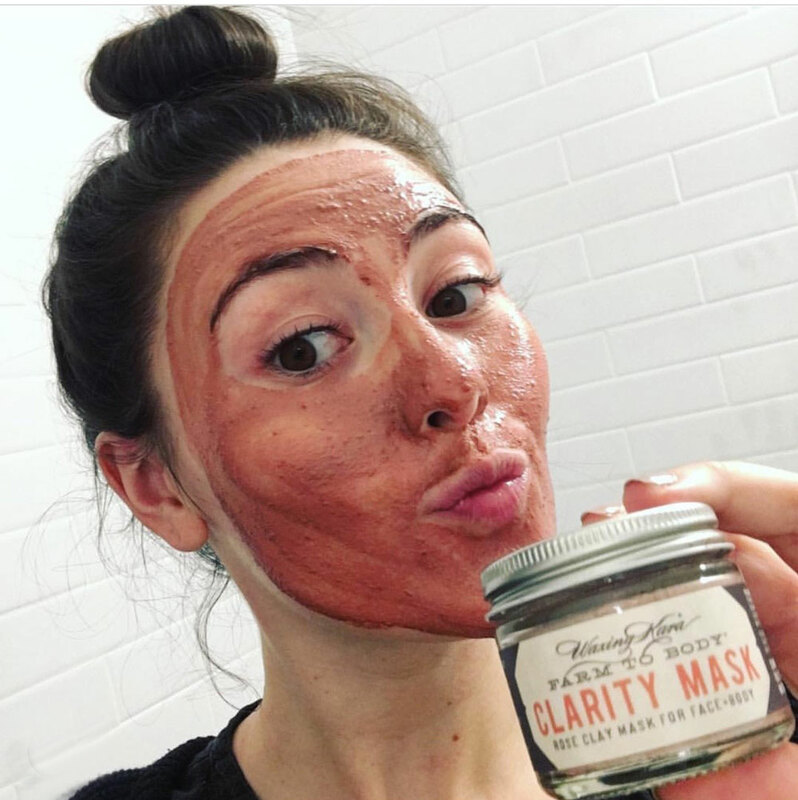 If you have skin that likes to be difficult, Clarity Mask may be helpful. 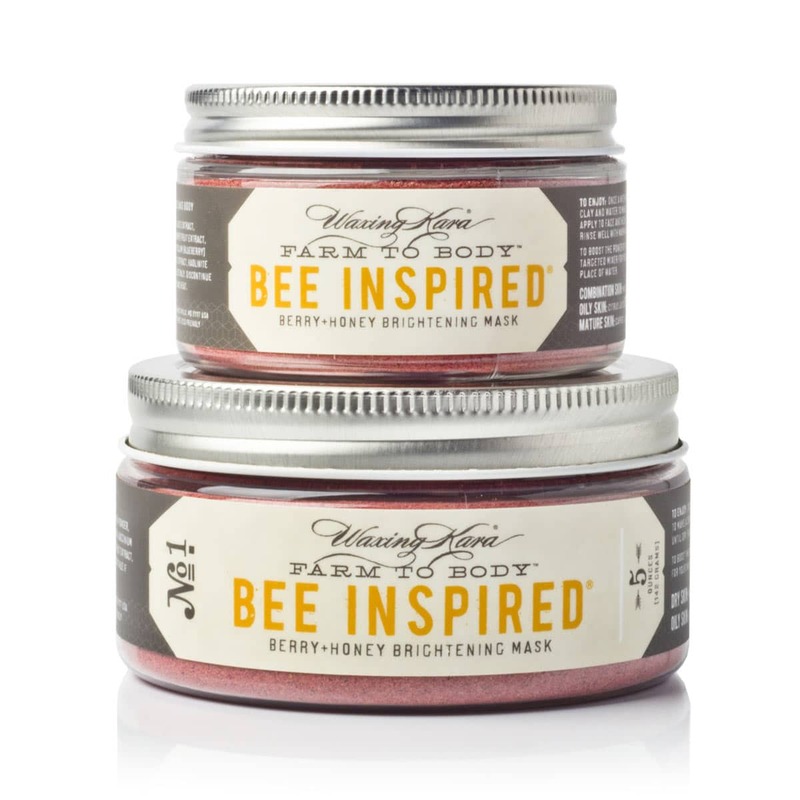 Made with a blend of rose clays, oat powder, and dried organic honey that cleanses while it lifts away excess oil. 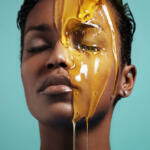 Try blending Clarity and Haute Cocoa Masks with honey or water-for acne prone skin, keeping it simple is often better. Once mixed, brush onto your face and allow to sit for 15 minutes before gently washing off. Your skin will be instantly smoother, and with regular use you’ll see a clearer complexion. 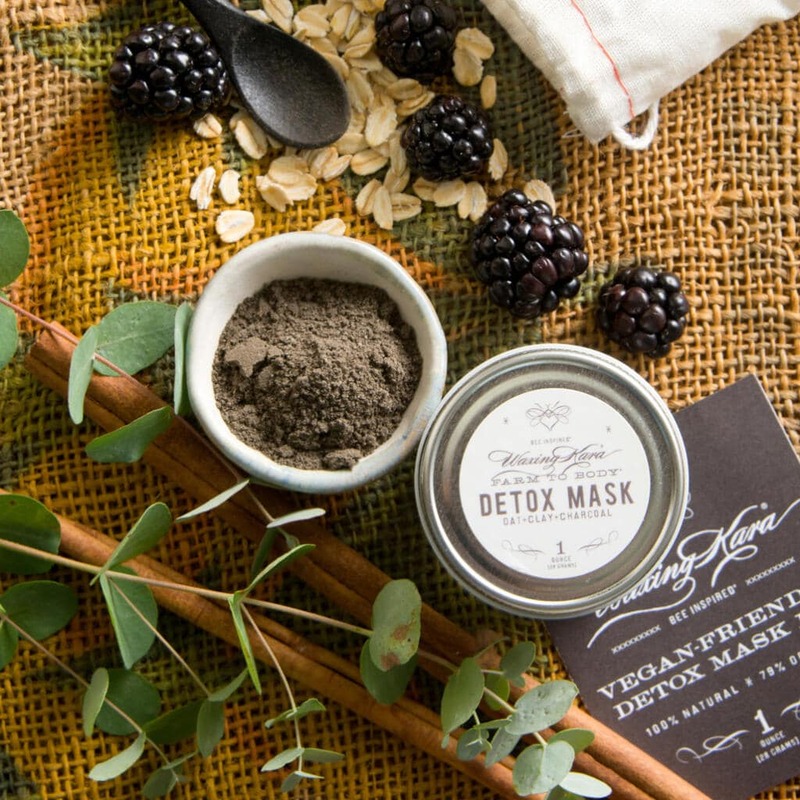 Detox Mask is Vegan and made with renewing coconut charcoal and vitamin-rich blackberry powder. 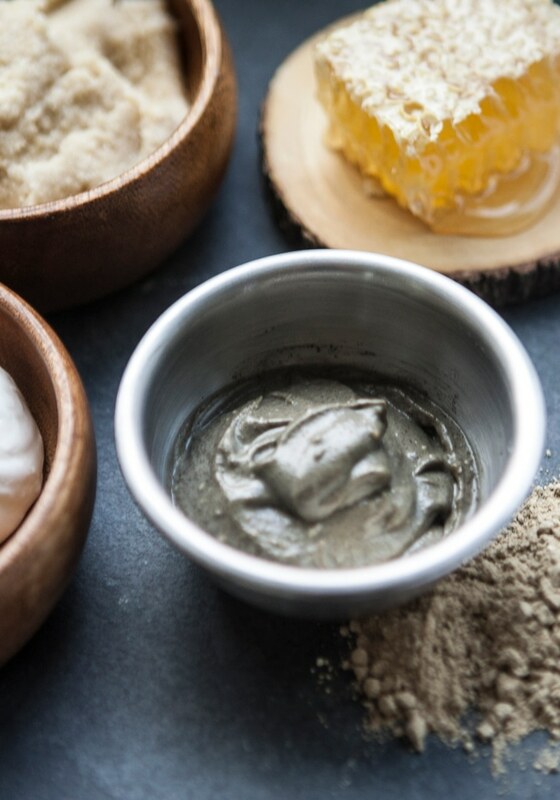 Blend this mask up with warm green tea and crystalized honey for a light exfoliating treatment. 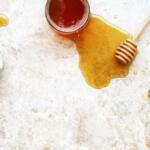 If you are vegan and prefer not to use honey, it will still be a wonderful experience. It’s perfectly rich when blended with plain water-the carbon in the charcoal will pull dirt and excess oils from your pores, revealing a brighter, more even complexion. For problem skin, this mask is especially beneficial! Dull skin comes with dry cold weather, dehydration, sleepless nights, and too many glasses of wine. However, while it seems that the causes of a dry, drab complexion are everywhere, it’s an easy thing to treat! Stay hydrated, remember to exfoliate and tone the skin, and use one of our specially blended masks. Bee Inspired is the perfect mask for dull and problem skin. Made with a combination of clays and berry powders, it contains gentle fruit acids that polish away dead skin cells to reveal a brighter complexion. The vitamins and minerals in the mask also deposit themselves into your skin, replenishing what may be missing. Blend Bee Inspired with warm green tea and raw honey for a powerful dose of antioxidants that your skin will love! Take a rest, relax, allow these freshly blended masks sit on the skin for around 10 minutes, gently wash off, and continue with your usual skin routine. It’s as simple as that. 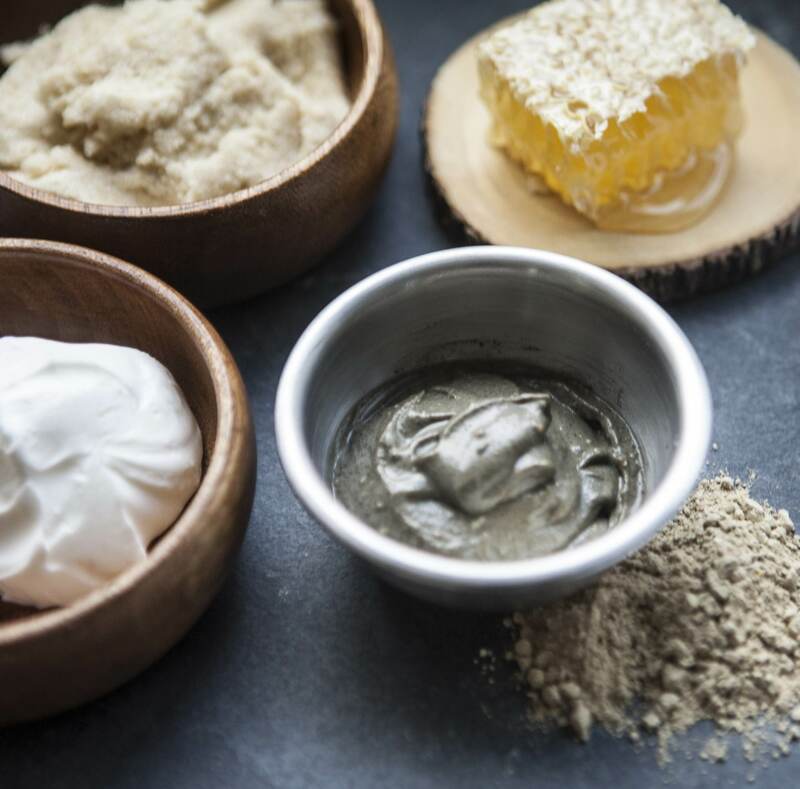 Similar to the berry extracts in Bee Inspired, Harvest Mask contains pumpkin pulp that plows through dead skin cells to reveal a glowing complexion. 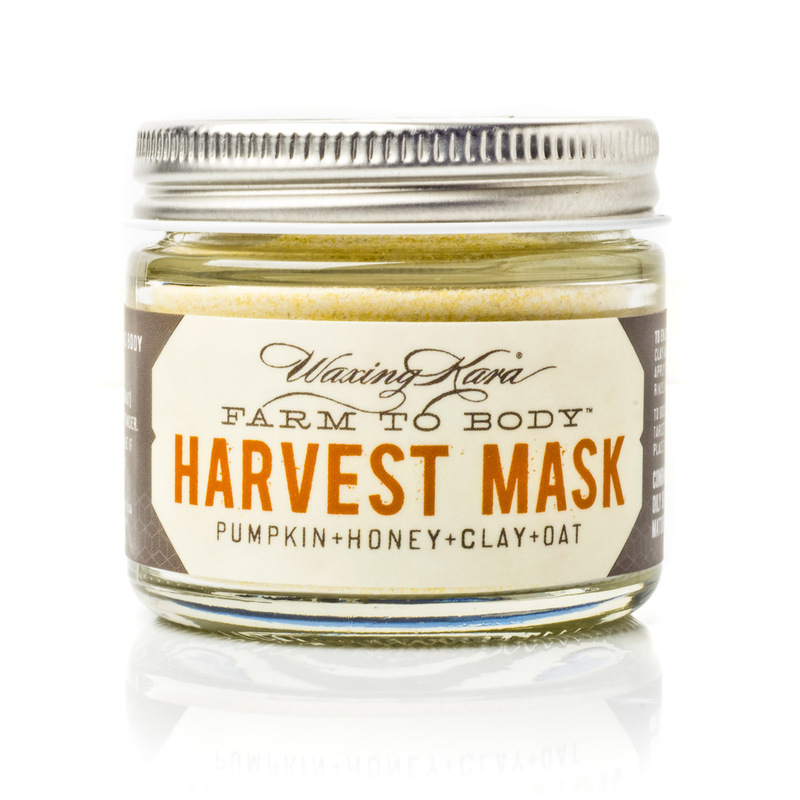 Harvest Mask is filled with vitamin A, beta carotene, and enzymes that freshen the face gently. Blend Harvest Mask with plain Greek yogurt-the enzymes in pumpkin and the yogurt will further help to break down dead skin cells. The vitamins in the formula will absorb better into freshly exfoliated skin. Allow the mask to sit for 10-15 minutes, make sure to rinse your face clean and moisturize to lock in your glow. Our Seaweed + Green Tea Mask helps to smooth and decongest dry skin with a unique blend of kelp, green tea, and clays. It’s perfect for treating skin that looks a little tired due to environmental conditions or hastily-removed makeup. Mix up this mask with green tea to boost the powerhouse of antioxidants in the formula! Apply a thin layer, sit back, and relax for 15 minutes while the mask does its job. Simply wash off, moisturize, and head out the door. Sometimes, exposure to wind, dry air, and too much sunlight can leave your skin a little irritated. More often than not, this is out of your control. You can cover up as best as possible, but you may still end up with itchy, reddened skin. But, we have a solution for you! Calming Mask is made with lavender and oatmeal. Together, these ingredients help to soothe dry, sensitive skin while delivering nutrients and essential minerals to your complexion. 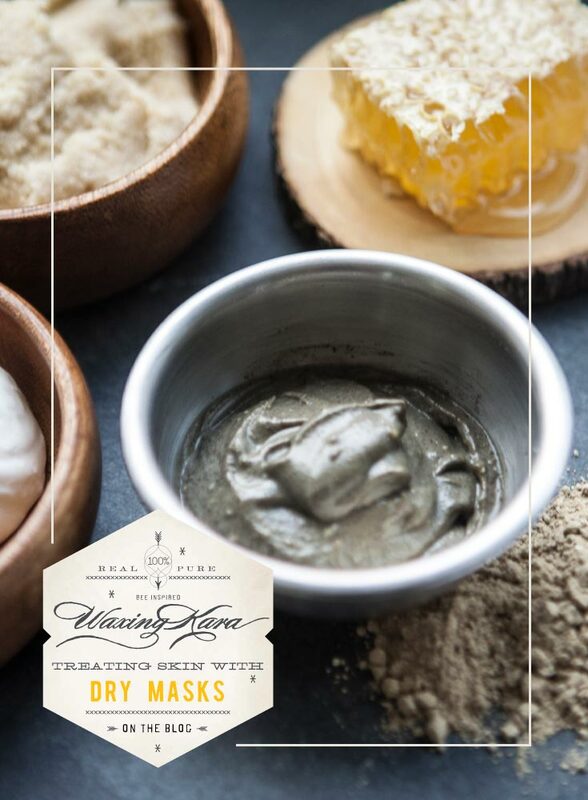 Blend this dry mask with something simple, like water or honey, for the gentlest effect. If you so desire, you can blend this mask with a light herbal tea for the added benefits of more nutrients. No matter your skin type, we have a mask for your problem skin. Look forward to brighter, smoother, glowing skin with our collection of all natural masks. 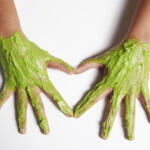 Dry masks are good for you and the environment, as they are made of only natural, mostly organic ingredients. If you decide to try our dry masks, why not take a photo and share it with us using #waxingkararecipes on Instagram. We love seeing your photos!